WHAT IS COURTLY CLASSICAL AND WHO WERE THE AWALIM? 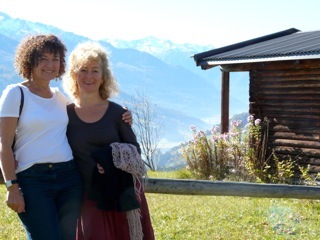 October is the month when Erna Froehlich and I teach the Autumn Dance Week in the glorious setting of the Austrian Alps. This year attending a course abroad is especially attractive for us in Britain owing to the strength of the pound. It will be the 21st year of teaching our October week, and in the same place which we love dearly, a family run cosy old farm house. It provides us with all the comfort dancers need to learn, relax and to enjoy each other’s company. 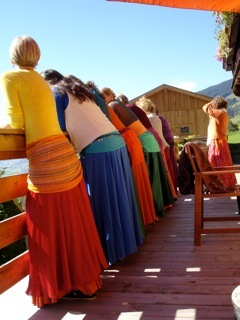 There are beautiful walks, delicious vegetarian food, a spacious dance studio and even sauna. Every October so far we have sunbathed on the flower filled balconies and terrace, stocking up on rest, warmth and sunshine for the oncoming winter ahead. I hope that you will be tempted to join Erna, Tim and me for this wonderfully international event. In the houses of the wealthy, family events were celebrated with dancing, music and song. Downstairs in the street or courtyards the Ghawazee (gypsy dancers) enthralled visitors and the menfolk with their colourful and exuberant dancing. Upstairs, unseen, the women of household would watch from behind mashrabiiya, screened balconies and projecting bay windows where women could peer out and see the activities below while themselves remaining invisible. These women often had their own entertainers, the Awalim, women who in their heyday were renowned not only for their refined talents as singers, poets, musicians and surely dancers too, although there does not appear to be records that they were. As well as being exponents of these refined arts, it was the Awalim who brought into the confines of the women’s quarters news, gossip and popular songs about life outside. 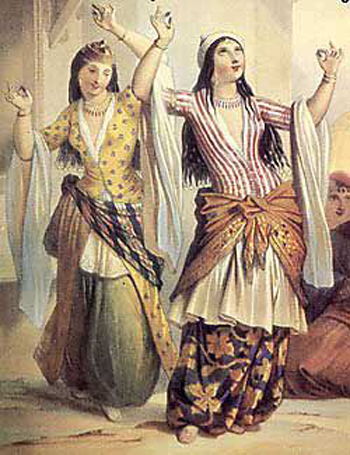 We will explore how these protected women and the Awalim might have responded with their dancing to the arts of Ottoman Egypt. Cost 408 Euros for accommodation in a double room to be paid in Euros at time of arrival. plus 475 Euros for teaching to be paid when booking.